This is a member post from Eric at Narrow Bridge Finance. Check it out today! If you like it, subscribe or join the e-mail list. 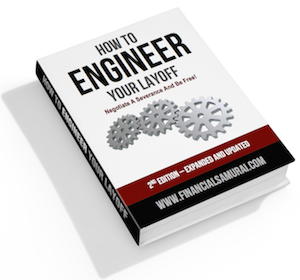 You can also check out his eBook, the Personal Finance Arsenal. Most of us like to think of ourselves as intelligent people in control of our own actions and destiny. However, group think might impact you more than you realize. Does your environment impact your finances? You bet your bottom dollar it does! Your actions are strongly correlated to the actions of those around you. Popular blogger Jeremy Schoemaker hits the nail on the head in his post about surrounding yourself with successful people. If your friends and family are like minded, positive influences on your spending and earning habits, their habits will rub off on you. The same goes the other way. If all of your friends are broke and lazy, that will rub off on you too. Yes, sometimes you can be the positive influence on your friends and family. However, if you see a continuing pattern, it might be time to cut your losses and find new friends. I live in Denver, Colorado. Colorado is one of the most educated, healthiest states in the United States. 35% of people in Colorado have a college degree and 12% have a master’s degree. Living in Colorado, I am happy to be a statistic. I have a graduate degree and I take care of myself. However, look at Texas. That state is home to some of the unhealthiest cities in America. And why would anyone want to live in Mississippi, the poorest state in the country? You can hate me for being a hater, but the truth is in the statistics. If you live in an environment that promotes sloth, poverty, or a bad living situation, get out. It is not that hard. There may be light in this dark story, however. If you live in Mississippi, all hope is not lost. You have found your way to another type of community. The Yakezie is a new type of environmental factor in the world, but it is one that should be taken very seriously. 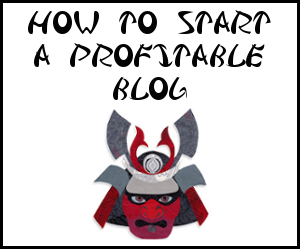 More than seventy like minded bloggers have come together in the Yakezie to promote responsible personal finance. That is something that, I hope, can rub off on all of us and our readers. Given we do not all agree on what responsible financial management is, we can all agree that we have a similar mindset and goal in mind. Some of us try to become successful through budgeting; others try to increase their income. Some of us watch every penny, others watch the Benjamins. At the end of the day, however, we have come together to build a community based on respect and positive reinforcement. It was a great feeling to have so many people congratulate me on paying off my student loan. It is amazing to see the progress Well Heeled is making in her Galapagos fund. It is awesome to see Ninja keep punching debt in the face. BOOM! How Has Your Environment Impacted You? Have you experienced anything like this in the past? Have your parents dragged you down? Have your friends inspired you? Do you need to get out of a bad situation? 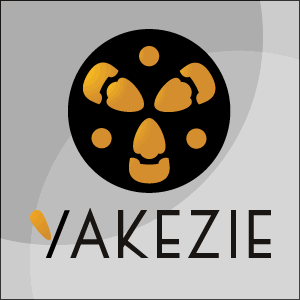 Note: The Yakezie is open for Member Articles and guest posts. Feel free to submit directly online or via e-mail in HTML format. Environment definitely plays a huge part in who you are. Starting with your immediate circle of friends to the city you live in. Getting out may not be the tough one, acknowledging the fact that you live in a bad ‘environment’ may be. It’s like I was saying to Barb, after I realized that the people I was surrounded by weren’t good influences, I had to cut the relationships off. It took a few years to realize, but I’m glad I did. The hardest part in my situation was explaining it without sounding like I was saying “I’m better than you.” I really tried to give a “different strokes for different folks” message. Some people twisted the message as much as possible, which is going to happen. Cutting off bad relationships is far easier said than done. Thanks for sharing your personal experiences. It is valuable for us to read about. Thanks MoneyCone. Glad you agree and enjoyed it. There are many interesting points in this post. One thing I know is that my parents never taught me about personal finance and growing wealth because it wasn’t the way they thought. They were in survival mode. As far as your environment, I’m finding that living in Costa Rica is giving me a whole new education because I’m connecting with entrepreneurs and people who are older than me who have made lots of money. Learning from these people is really one of those most powerful experiences from my time here. I think that you’re right that not all hope is lost based on the environment. We have some power to control our environment today because of the internet and access to people we’ve never had before. One of the reasons I have so much respect for people in other countries is because many of them are forced to be entrepreneurs. I think living abroad is a great way for people to learn a bit more about the world we live in, and the people we try to reach. Many business ideas have come from living abroad and seeing what peoples’ needs really are. People tend to target customers that are much like them, and living abroad can open your eyes to markets and demographics that you never even considered! You can’t pick your family, but you can pick your friends. It is always a good idea to try to be the influences in situations you can change and pick up the good qualities from relationships you can control. When I was 20, my brothers and I (4 of us in total) decided to join a network marketing business. It succeeded marvelously at first, but ultimately, it was a flop. Even though we are not millionaires today, I learned a lot from that experience, and my brothers and I are still quite close because of it. Still today, my brothers and I brainstorm about different opportunities that are available to us – if they’re a good idea or not – and how we are doing with our current ventures. It’s fun, and we all encourage each other! The Yakezie is definitely a huge boost for me too. With this environment, how can anyone fail? I’ll never take this group for granted. I get a lot of motivation from the Yakezie. It’s cool that I’ve got a group of friends that can help give me a motivtational boot to the rear to keep going. It’s great that you have a group that you can get with physically and discuss with as well. My wife and I will have brainstorm sessions and that is probably one of the most productive things that we do for our site. That is good hands on experience. I can’t say anything good about network marketing for long run projects, but it sounds like it pointed you in the right direction for later successes. It is great that you are working with your family on doing great things. Being in a good community makes a world of difference. What a different world it was when I moved out of the bad neighborhood I grew up in. You really do get a skewed perspective depending on your environment. I don’t know how people in law maintain a positive attitude when they see horrible things happening day in and day out. Most people don’t get that real experience first hand. Congrats on moving up in the world, both literally and figuratively. Surrounding yourself with positive (and successful) people definitely makes a big impact. In the past, I’ve noticed how my perspective drastically changes after hanging out with friends that are negative and stuck in ruts at work and going through the motions…. versus surrounding myself with colleages and mentors who are successful business people and truly want to start or grow new ventures and are excited to discuss them. It really can make a huge difference in how you approach life. I hear you CNC, it creates a negative feedback loop. Your peer complains about how horrible everything is, then you agree and complain. Then, you both agree that nothing can be fixed, and the negativity just grows. It makes a huge difference speaking with successful people who tell you that things can get better, and learn from their accomplishments. That is why I’m so supportive of Score.org. If you find yourself surrounded by the negative crowd, use SCORE to get yourself in front of positive influences! That’s just one of many resources. Even reading magazines can be helpful. Glad you shared the same experiences. Thanks for sharing! I am extremely disciplined in my life and that includes weeding out negative influences. On the flip side, Yakezie’s mission is congruent with mine-helping others-sharing information and is a tremendous source of information and support in my blogging life. Great article Eric. Interesting viewpoint. It was a hard move for me, but there was a time that I needed to purge my “friends” from my life and it made for a few very awkward transitionaly weeks. I had to answer many questions and not sound like I thought was superior. It has been one of the best moves I’ve ever made. It is a good thing to be aware of your environment and constantly work to improve it. We can all learn something from you. Know my friends, know me. I think it’s a universal truth that people make assumptions about us by the company that we keep. I think our behaviour, beliefs, and attitudes are strongly influences by our social networks. I read recently that two thirds of people that seek financial advice from their peers online, act on this advice. The social networks carries more weight than the traditional financial experts, like CFP’s, etc. That’s one aspect I enjoy about this community. We are part of the social network, not above it, simply dictating. People want to interact and engage with their equal, and online everyone has an equal voice. We are the sum of the people around us and experiences we have. You are dead on. It is interesting to read the statistics of how people use the information we put online. Thanks for sharing. This was a fun perspective to read. I agree in general, but there is always the exception which you highlight. I’m an exception when it comes to how I was raised. My family, I love them to death, were terrible with money. They were reckless with debt, and it ultimately wrecked my family. Ever since then, I grew up telling myself that I will never end up like that. I will never put my family through that, and now that I’m living those words, I’m now helping my family to manage money better. I think you highlight many important ideas. Most importantly, I hope people walk away from this article understanding the dangers of association. If you aren’t an influencer, then you are the influenced. Understand your personality in social groups and be honest with yourself. Understand your inner vulnerabilities. If you can’t rub off on your friends, then you need to find new ones. The phrase that comes to mind is: “Birds of a feather flock together.” Excellent insight and great article! “If you aren’t an influencer, then you are the influenced.” – I might steal that one. Great insight. No Problem at all NB, I’m good a for a quote every once in a while ;). I think the micro environment has the most impact starting from the immediate family members. We were not well off when we were growing up and I learn good financial habit from my mom. It’s great to have Yakezie friends, everyone is so supportive and helpful. I don’t know what I would do without the network. Those habits that you learn from your parents last a lifetime. Regardless of your outside environment, parents are the biggest influence in our futures. I agree. This network has helped our blog immensely. Our site would look very different (in a bad way) had we not had the awesome tips and suggestions from this network! Nothing is more true than friends and family. There’s a quote out there; “show me your friends and I’ll show you your future,” which I don’t think could be any more true. We need a like button for that quote. Thanks for sharing JT. That’s one thing you notice more and more, the importance of family. They show up, even when times are inconvenient. Selfless people are definitely good people to surround yourself with. It all depends on who you surround yourself with. Sure, if you live somewhere where being a sloth is promoted, then yes, you’re pretty screwed. But if you surround yourself with friends of good character and drive, you are bound to turn out like them. Same goes with personal finances. I think i remember reading a stat that said that most people make within +/- 15% of their best friends salaries. Pretty interesting to think about. You and me both NB. It really is amazing the things you can glean from peoples’ associations with others. I should begin studying peoples’ Facebook friends and see if I can derive any assumptions, lol! My environment strongly affected me and my future. My family taught me values and principles to live by. My friends were rich and successful which motivated me to succeed. Today, I surround myself with people who are smarter and more successful so I can learn from them. There’s no desire for achievement, self-betterment or growth. I’ll never understand it. I think contentment can be a good tool, but I think people abuse it terribly and leave themselves open to financial disaster. There are lazy people everywhere, but I would not say Vancouver is one of those places based on my experience. Sure, you can find the lazy people there, but the city has created many amazing products (and tech companies). If you don’t like your small town, you don’t always have to take a giant leap and go to a big city like London. Is there something in between that is closer to home so you can take baby steps? Hi Eric – This is really what the Yakezie is all about. Interacting with like-minded folks who want to improve their finances, their lifestyles, give back to the community, and have fun in the process! I think it is working really well too. I know I’m not the only one who has experienced the success, the camraderie, and the kindness from the Yakezie. I’ve said it before, our website would be in far worse shape had it not been for all of the input, and assistance from the Yakezie. Thanks goes out to all of the Yakezie members for all of the help they’ve provided. Thanks Sam. I am glad we have the same idea. In fact, I got the idea for this post from you. Great post. You are heavily influenced by your friends and family. A little rough to drop your friends if they are stuck in a rut. Finding new like minded friends (Yakezie) pushes you to excel. But I also like to push higher so my friends who are stuck in a rut can follow or be inspired to break out of their grind, too! You make good points. I definitely don’t think you should abandon friends just because they got stuck in a rough patch. Definitely help people where you can. I think the bigger issue is when your friends don’t really care about their situation, and they want you to have the same attitude and apathy. Great insights though. It’s important to not confuse a person’s disposition due to bad circumstances with a lack of ambition. Good point Buck. It is a fine line between helping your friends rise and them holding you down. Sometimes it is hard to see unless you are on the outside. As long as you are actively aware, I don’t think you have too much to worry about. Also, there is a difference between a rut and a pattern. I would never ditch a friend who hit a rough patch, but it their long run outlook (and history) is a rough patch and they are not taking active steps to make it better, they are not in a rut. This is especially true for people that debt to accumulate a lot of debt. If you surround yourself by people that are buying many new items on credit alone, you are more apt to do it as well! Very true. You don’t need to keep up with the Joneses… or your friends. I love how the Internet is lessening the importance of geographical barriers and creating new networks where none existed before. Me too. I never would have thought something like this group would be possible when I “grew up.” But here we are. Hey Timothy, good point about bad cirumstances and lack of ambition. At first glance, similar, but deep down very different things. Hey Eric, I never thought about that. A long history of being in a rut actually isn’t being in a rut. True! Glad I made you think. That is the point of these blogs after all, right? I’ve always been told, “you are who you hang around” so I completely agree with your premise. But I also think that “like attracts like” and you might be the reason that your group of friends and acquaintances are sub-par! Good point. If like attracts like and you don’t like it, fix your situation first. Being in a bad crowd can definitely hold you back but growing up poor doesn’t mean you have to stay that way. We can’t choose our families but we can choose our friends. Having positive friends makes such a difference. I agree 100%. Thanks for the comment. I totally agree. If you live in a home with a positive spending attitude, you are most likely to adapt that. But if are with friends who lavishly spends a lot, chances are, you might adapt them as well. Choose your friends, and choose them well.